The Next Generation Science Standards (NGSS) were designed to revolutionize and reinvent science education in America by shifting the focus of curriculum to student inquiry, engineering design, and phenomena-driven discovery. Proponents of the Standards argue that a traditional, lecture-focused style of teaching is now antiquated, due to the instant wealth of knowledge available to students on the internet and mobile devices. Adversaries of NGSS, on the other hand, claim that students will be unable to complete an inquiry-based assignment or contribute to an in-depth discussion without a proper foundation of knowledge provided by more traditional teaching methods. As chemistry teachers, we hope to share and pass on our love of chemistry to our students and build an army of future chemical and nuclear engineers. We love hearing from former students who are having success in their collegiate chemistry courses due to our tireless work and dedication to the field. The unfortunate reality, however, is that the majority of our students — even those who thoroughly enjoyed our class and crazy demos — will never utilize or even remember the content taught in our courses or, for that matter, factor polynomials or interpret Shakespeare. Given this reality, can we blame our students for not retaining irrelevant information they will not need in their lives? The World Economic Forum claims that all students need opportunities to lead others, collaborate, present ideas, critically think, engineer, and make decisions in order to be successful in today’s job market1. Conveying content is essential to teaching chemistry, but we also must find new, innovative ways for students to discover and demonstrate their understanding of chemistry outside of lecture notes and traditional lab reports. 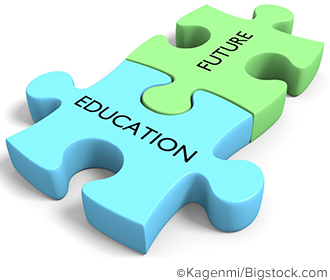 Education needs to transition from a system built upon content retention and rote memorization to a system which provides students opportunities to critically think and develop 21st century skills. Transitioning to a 21st century chemistry curriculum will take some patience and time. It may even require you, the educator, to learn some new 21st century skills that you can pass on to your students. The following are a few ideas to help you begin your transition. Traditional, step-by-step, “cookbook” labs in chemistry do not provide students with opportunities to critically think and problem solve. A simple solution to this problem is to redesign traditional labs by leaving out the procedure. A comparison of traditional lab procedures and an inquiry-based approach to the same lab is shown below. 1. Obtain approximately 5 grams of calcium carbonate in a plastic bag. 2. Carefully pour 5 mL of 1.0 M HCl into the bag and quickly seal the bag to collect the carbon dioxide gas. 3. Use a match to light a splint and carefully insert the lit splint into the bag. 1. Obtain 3 mL of 1.0 M HCl in a test tube. 2. Carefully add a small amount of powdered zinc to the tube and quickly cap the tube with a rubber stopper. 3. Use a match to light a splint. Blow out the splint and carefully insert the glowing end of the splint into the tube. Problem: Use the materials provided to generate a sample of both carbon dioxide and hydrogen gas. Describe the method used to generate the gases. Your method must include proof of the identity of the gas, based on evidence while conducting the experiment. Inquiry labs can be adjusted to align with the ability level of the students conducting the lab. 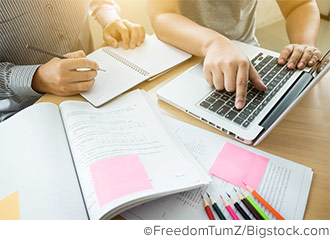 In the example above, the teacher has the option of allowing students to use digital tools to research possible ways to generate the gases or, as a distraction, listing chemicals that will not produce a successful result. In the event that students get completely stuck, a class hint could be offered. Inquiry-based labs allow students to fully engage in collaboration and critical thinking, both of which are essential 21st century skills. Grading inquiry-based assessments requires adjustments to a traditional lab report rubric. The rubric should include a category for lab conduct and effort. Lab conduct and effort is admittedly a very subjective category. However, such a category may be required in order to allow students to explore and discover without fear of not knowing “the answer.” The process of finding the answer is far more important than the answer itself. Claim, evidence, and reasoning (CER) style reports are also very helpful in inquiry-based assessments. This style requires students to make a claim or propose a solution to a problem, and then justify their solution based on evidence collected during an investigation. Engaging in discussion and argument from evidence-based data is an extremely valuable 21st century skill. Safety during inquiry-based lab investigations can be managed by either limiting the amount of materials available to the students or requiring students to submit a safety proposal before carrying out an experiment. Limiting the materials available to students prevents them from performing a potentially dangerous reaction. When limiting materials, it is recommended to add safe “distractor” materials and chemicals to force the students to determine which are needed to solve the problem. For upper-level classes, students may be given more material options; however, you may want to require students to submit a proposal before starting an experiment — not for correctness, but to address safety concerns. Lab experiments are an excellent opportunity to simulate a corporate business project environment. You can allow students to work in larger groups (possibly up to four students). Larger groups could also use the team model; however, it is recommended to keep group sizes small to increase each student’s accountability during the lab. The group members will all contribute in the planning and data collection, which is typically the in-class portion of the lab. Each member of the group is assigned a job title for the completion of the lab report. For a group of four students, assign two writers, an editor, and a project manager. The writers will be responsible for writing the actual lab report. The editor will evaluate and offer revision suggestions to the writers. The project manager will offer support to the writers if needed, ensure that due dates are met, and approve the final product for submission. Students should rotate jobs every experiment to ensure they have experiences at every job position. This approach to lab experiments not only presents students with opportunities to be leaders, collaborate, and evaluate one another, but also produces better finished products. Allowing students to work in larger groups also reduces the amount of supplies used and waste created, not to mention the number of lab reports requiring grading. Require students to use Microsoft Excel or Google Sheets to organize and analyze data. All students should be exposed to Excel and Sheets on a regular basis. These programs can be extremely useful tools that students can use to manage finances or important information in the future. Develop assessments that allow students to create using digital tools. Consider transforming traditional posters, reports, or PowerPoint presentations into blogs, infographics, podcasts, or videos. For example, students could create a podcast discussing the advantages and disadvantages of nuclear chemistry (energy, medical uses, weapons, food irradiation, etc.). Students could also create an infographic explaining the thermodynamic principles present in a common process, such as refrigeration. Students should also be given opportunities to verbally communicate ideas and present data or research. In the age of digital tools and smartphones, the abilities to verbally communicate and attentively listen seem to be lost arts. Attempt to create opportunities for students to discuss chemistry and listen to one another in an open setting to develop these vital skills. Traditional-style lab notebooks will always have a place in chemistry. However, digital tools can be used to showcase and organize student work in an updated, 21st century manner. Google Sites is an excellent application that can allow students an opportunity to establish their own website. In a chemistry course, the website could serve as online digital portfolio or lab notebook. Chemists constantly utilize technology to solve problems, so why not offer students an opportunity to create their own technological tool? Coding is an intimidating topic for many educators, but just imagine how much both you and your students would benefit from learning simple coding skills. Of course, time is always a limiting factor when planning your curriculum. But it can be argued that the ability to code a simple program will be a far more valuable skill than anything the majority of your students would learn in chemistry — and therefore worth the time. Depending on your ability and skill level, coding in chemistry might be difficult. One option is to take advantage of the ever-growing popularity of robots. There are many relatively cheap options for robotic arm kits available online. Many of these kits utilize simple, user-friendly, drag-and-drop coding. Using such a kit, students could be given the opportunity to build and program a robot to take temperature or pH readings at specific time intervals during a lab. This simple introduction to coding and robotics could motivate our students to pursue an interest not previously on their radar. There are very few certainties in education. However, we can be sure that standards will continue to change as states attempt to provide their students with the best education available and keep education relevant in an ever-changing world. Chemistry is chemistry, and no matter how standards reword or rephrase the key concepts, the content itself will never change. A more effective approach is focusing on the opportunities we present to our students to develop relevant skills. The majority of our students will never again need to calculate a molar mass or balance a reaction … but they will need to critically think, problem solve, and use digital tools to create, collaborate, communicate ideas. We must break free of our traditional, content-focused mindset. Transitioning into a 21st century curriculum will take time. Start small — by taking one activity or lab from each unit and adding a 21st century element. Remove the procedure from a lab, replace a lab report with a podcast, or replace a hard copy lab notebook with a modern digital version. I encourage all chemistry teachers to share their successes and failures along their path to implementing a 21st century curriculum on the AACT discussion board, with a shared goal of developing an online database of effective 21st century lessons and activities that all chemistry teachers can utilize in their classrooms. Soffel, J., Ed. What are the 21st-century skills every student needs? World Economic Forum website. https://www.weforum.org/agenda/2016/03/21st-century-skills-future-jobs-students/ (accessed Feb 5, 2018). Matt Perekupka teaches CP, Honors, and AP chemistry at Cinnaminson High School (CHS) in Cinnaminson, New Jersey. A graduate of Millersville University, he has been teaching for 13 years and currently serves as CHS’ student council advisor and girls tennis coach. In 2017, Perekupka was a participant in the AACT-Dow Teacher Summit in the Delaware Valley.